New Expungement Laws for October 2017 – Lessans Praley & McCormick, P.A. Effective October 1, 2017, a person may file for an expungement if they were convicted of certain misdemeanors. An expungement is a way for a person to remove a conviction (or other disposition) from police record, court record, and general State records. Expungements are useful for those who do not want the consequences of having a conviction on their public record. Keeping your record “clean” by expunging eligible cases may make it easier to obtain employment or pass background checks. Starting in October of 2017, a person may now file an expungement after being convicted of the following misdemeanors, including but not limited to: § 6–320 of the Alcoholic Beverages Article (consuming alcohol in a public place); § 3–203 of the Criminal Law Article (second degree assault); § 3–808 of the Criminal Law Article (falsely filing a lien); § 5–601 of the Criminal Law Article (possession of CDS); § 6–206 of the Criminal Law Article (possessing burglar’s tools) ; § 6–303 of the Criminal Law Article (malicious destruction); § 6–402 of the Criminal Law Article (trespass); § 7–104 of the Criminal Law Article (theft); § 8–103 of the Criminal Law Article (issuing a bad check); and § 4–509 of the Family Law Article (failure to comply with protective order). The crimes listed above are not an exhaustive list of those which can be expunged. Additionally, just because a misdemeanor is listed as expungable does not mean it will be granted by the Court. The expungement must be filed in the proper courthouse and may be objected to by a victim or the State’s Attorney. If the victim or State’s Attorney objects to the expungement the Court will schedule a hearing. The source of the preceding information can be found in the Annotated Code of Maryland, Criminal Procedure Article § 10-110. Having an attorney advise you on the process, fill out and file the paperwork, and possibly represent you during a hearing can be invaluable. 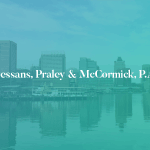 The attorneys at Lessans, Praley, & McCormick are experienced in handling not only expungements but the underlying crimes. Call 410-760-5000 or click here to schedule a free consultation with one of our attorneys.